Are you looking to replace your sinks and faucets in Fairport, NY? Or maybe you need a new sink or a new faucet, or you’re thinking of upgrading your bathroom and that involves changing out your sinks and faucets. No matter what you need to have done with the fixtures in your bathroom or kitchen, call us at G.T. Campbell. We’ll help you find the very best sinks and faucets for your home in Fairport. Our experts can help you select options that will look good in your home, that fit your budget, and that will last you a long time. We’ll never recommend something from a company that we don’t trust. 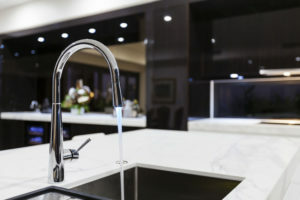 Then, we’ll oversee the ordering and delivery of your sinks and faucets to Fairport, NY, and we’ll make sure everything gets installed exceptionally well. We also know that you need the sinks and faucets in your Fairport home to work well. Otherwise, it’s hard to live that low-stress life! If yours are broken, we’ll come to you quickly and get them fixed fast, so you won’t have to worry about anything. We’ll diagnose the problem and get started on the repair as soon as possible, so you can get back to your regular schedule. If it’s in your best interests to replace your sink or faucet, rather than repairing it, we’ll always let you know and help you make the decision that’s best for you. Call us today and we’ll find a convenient time to send someone to help you with your sinks and faucets in Fairport, NY. We’ll always arrive on time and treat your home as if it was our own, so you’ll see the G.T. Campbell difference and understand why so many of your associates in Fairport call us first, whenever they have a plumbing problem.